With the upcoming publication of Dylan: A Biography (Turner Publishing, May, 2014), Dennis McDougal has authored a total of eleven books and hundreds of newspaper and magazine articles in a career that has spanned over 40 years. Currently, he is working on The Acid Chronicles, a book and documentary film about the renaissance of LSD as a powerful tool in the treatment of mental illness. Before he began covering movies and media for the Los Angeles Times in 1983 and, more recently, the New York Times, McDougal worked as a staff writer at dailies in Riverside and Long Beach, California. A UCLA graduate, McDougal holds a Bachelor's in English and a Master's in Journalism. He was awarded a John S. Knight Fellowship at Stanford University and spent a year teaching and studying in Palo Alto, Japan and Canada. Over the years, his journalism has won over 50 honors, including the National Headliners and George Peabody Award. He was a producer for CNN during the O.J. Simpson murder trial and co-produced Inventing L.A.: The Chandlers and Their Times (2009) for PBS. 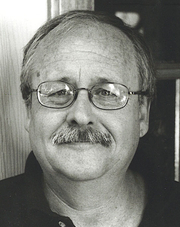 Dennis McDougal is currently considered a "single author." If one or more works are by a distinct, homonymous authors, go ahead and split the author. Dennis McDougal is composed of 1 name.